UPDATE: The costumes have already sold out online, but the buckets will still be available at restaurants starting Friday, Oct. 27. Ready for Halloween? Cause we sure are. 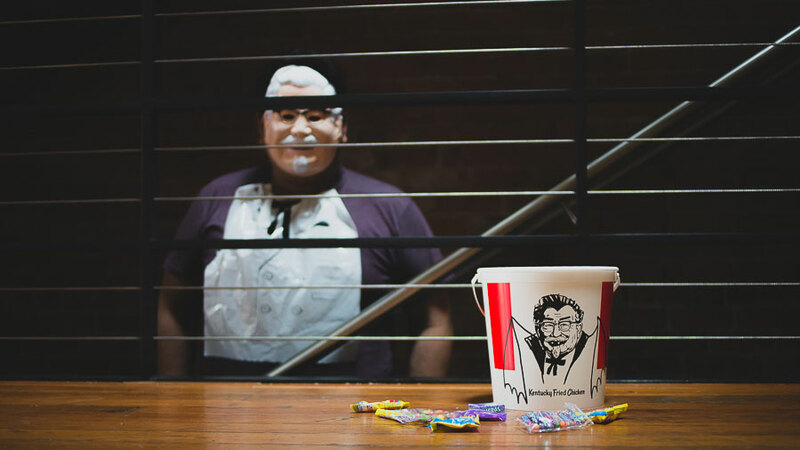 In the spirit of the candy-filled holiday, Kentucky Fried Chicken is selling costume kits for $5. 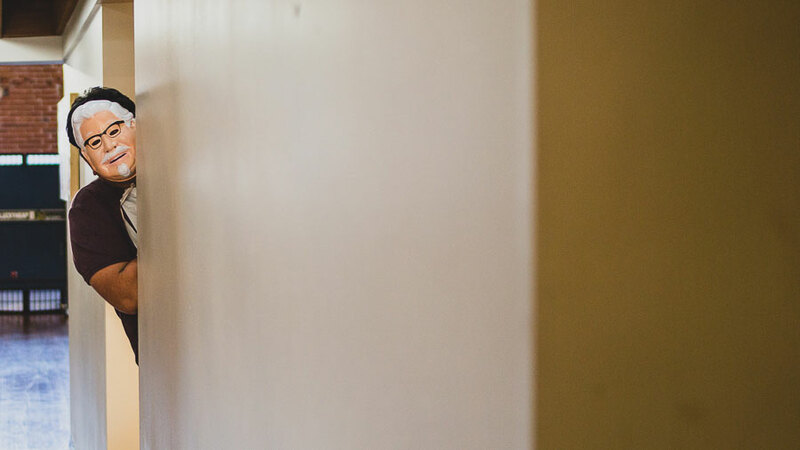 Inspired by vintage Colonel Sanders, the iconic figurehead of the fried chicken chain, the costume kit can be purchased at KFCLimited.com. 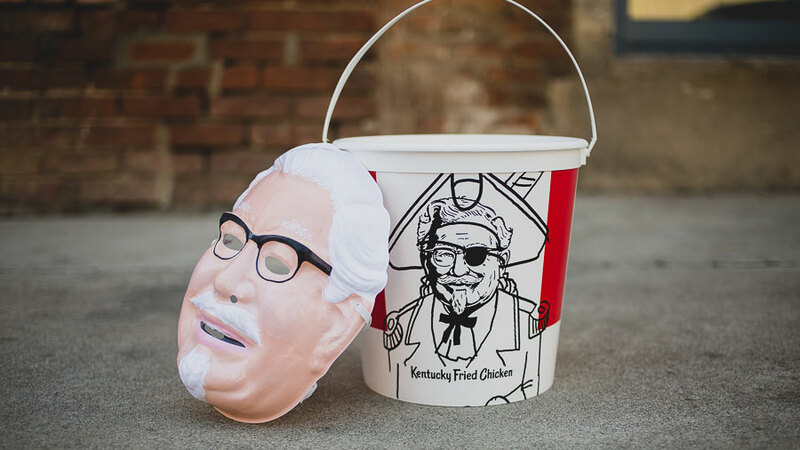 The Halloween Harland ensemble includes a Colonel Sanders mask, white bib, and a KFC trick-or-treat bucket. Oh how we wished that bucket was filled with extra crispy fried chicken, though. We got our hands on one of the costumes and Foodbeast's resident scientist Constantine couldn't resist having a little fun with the items. If you want to get your hands on one of this KFC costume kits, orders place on the website by Oct. 23 are expected to arrive in time for Halloween. Beginning Friday, Oct. 27, participating KFC restaurants will give the buckets away to customers showing "Halloween Spirit." This means dressing up is encouraged.